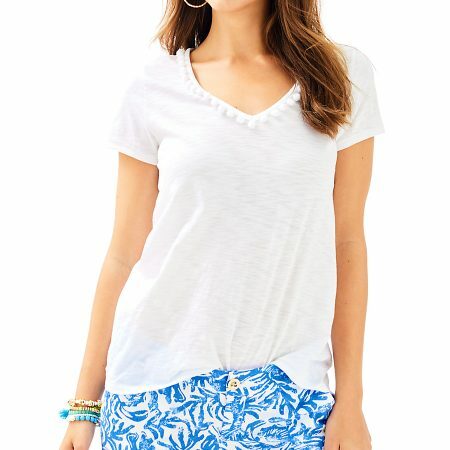 Garment Washed Soft Short With Smocked Back Waistband, Front Pockets, And Scallop Hem. 4″ Inseam. Tencel Blended Twill (75% Modal, 25% Tencel). Machine Wash Cold. Delicate Cycle. Imported. You will feel comfortable yet stylish in the Dahlia Short. The roomy front pockets and scallop hem make them the perfect travel companion on your next getaway. Please Note: This item in Pink Tropics Sun Drenched is more vibrant in person. Our cameras just can’t handle all this color!